Hi friends. Today I have a new faux bow tutorial to share. This bow is easy and it's perfect for your autumn projects because it has a bit of a rustic-type feel with the burlap string used to tie the center. Be sure to stop by Really Reasonable Ribbon and take a look at all the wonderful Fun 4 Fall ribbon styles. and it's one of the styles included in the August Ribbon Club Assortment. This Autumn themed assortment contains 9 ribbon styles and a total of 18 yards of ribbon. Each monthly assortment is a color or holiday themed mix of ribbons. What a fun way to build your ribbon stash and try new ribbon styles! 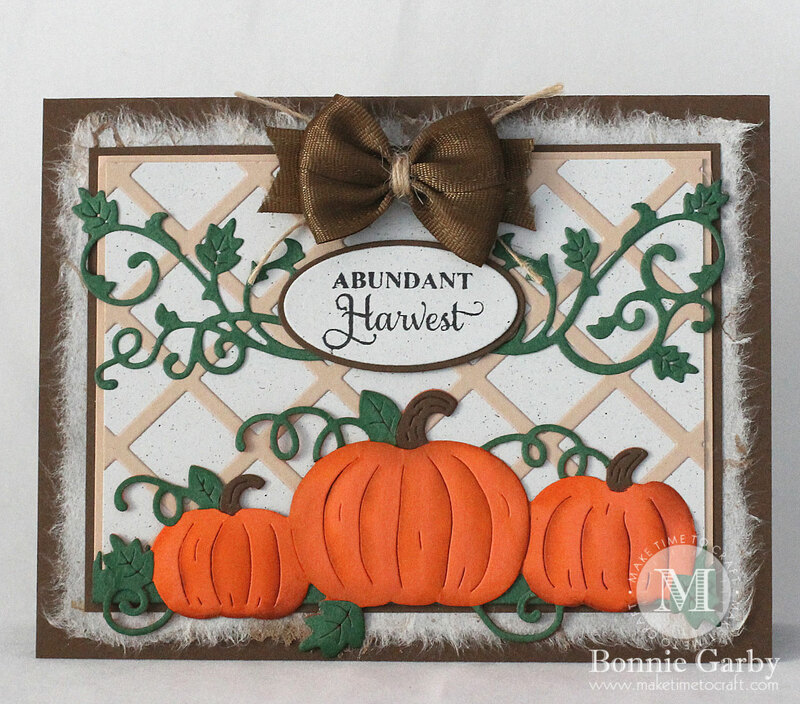 My harvest themed card was made with dies from Cheery Lynn designs. I also love adding mulberry paper to my cards for a soft and wispy layer and the natural mulberry paper on this card works wonderfully. The bow was created with 5/8" Turftan Brown Delicate Stitched Satin Ribbon and tied in the Middle with Natural Burlap String. Thanks so much for stopping by today. 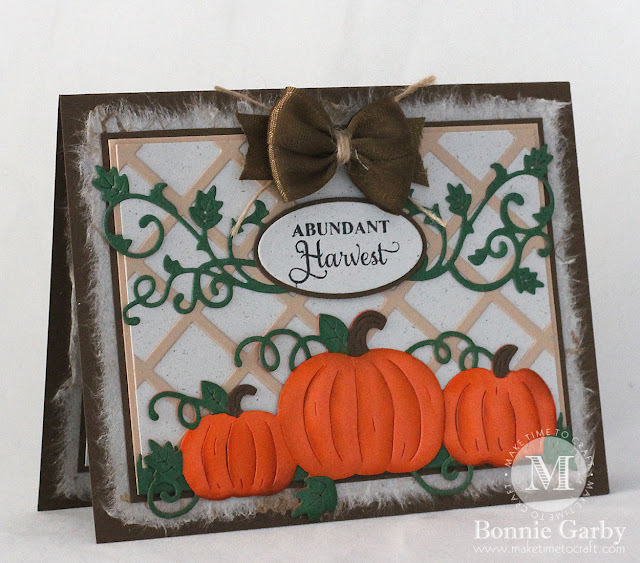 For more detailed information on the other products used on my card, please visit my Make Time to Craft Blog. Fantastic! Love the background and pumpkin die. Great classic fall colors.